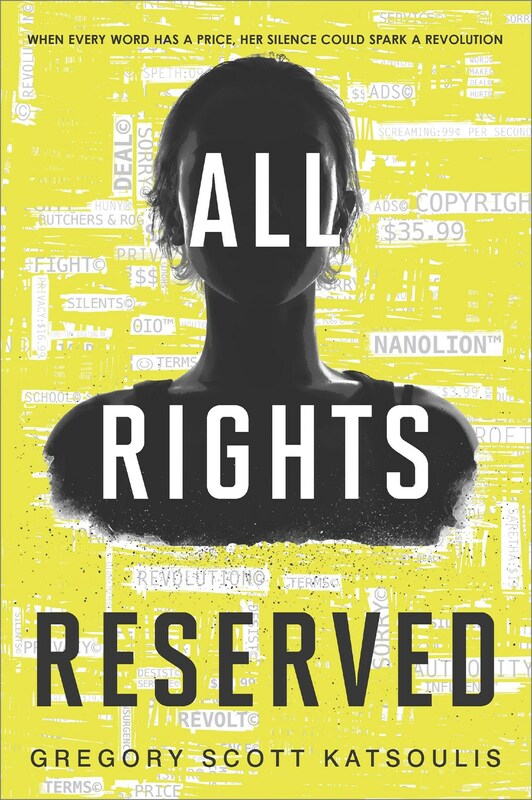 This month we are reading All Rights Reserved, by Gregory Scott Katsoulis, a timely debut novel about what it means to speak out, even in silence. But when Speth's friend Beecher commits suicide rather than work off his family's crippling debt, she can't express her shock and dismay without breaking her Last Day contract and sending herfamily into Collection. Backed into a corner, Speth finds a loophole: rather than read her speech--rather than say anything at all--she closes her mouth and vows never to speak again. Speth's unexpected defiance of tradition sparks a media frenzy, inspiring others to follow in her footsteps, and threatens to destroy her, her family and the entire city around them.